With the flexibility of a rental agreement customised to your requirements, the convenience of being able to simply move in with all the details taken care of for you, office rental in London can be as easy as finding your ideal location, signing a contract and getting straight to work. Workspace in the city comes in many forms, from luxury suites and executive offices to coworking spaces and hot-desking; from single workstations and small compact offices to entire floors and even whole buildings. Some office space in London comes fully serviced, while other spaces offer flexible, semi-serviced business accommodation. Not forgetting the converted spaces in period and listed properties, industrial & warehouse units, dedicated space for startups and of course, virtual office services. London Office Space specialise in helping people find the right type of work space in the ideal location, with all the facilities they need, and at the best prices available. For more than a decade, London Office Space has been helping people find and secure business accommodation, workspaces and commercial property rentals all over the capital city. Our inventory includes everything from luxury suites and executive offices to coworking spaces and hot-desking; from single workstations, dedicated space for startups and small compact offices to entire floors and even whole buildings. Many of the buildings are provided fully serviced, while other spaces offer flexible, semi-serviced business accommodation. We also list converted spaces in period and listed properties, industrial & warehouse units. With flexible rental agreements customised to your requirements and the convenience of being able to simply move in with all the details taken care of for you, office rental in London can be as easy as finding your ideal location, signing a contract and getting straight to work. On the London Office Space website you can search by relatively large areas such as serviced offices in an area of the city, or narrow your search to a specific location such as Baker Street or Shoreditch. You can also search by Underground station, handy if you need to be close to transport links, on a certain line or within a specific zone. You'll find workspace on offer in every part of London - from Bank to Battersea, Shoreditch to Swanley - with prices varying according to size, location and facilities. We are continually adding to our diverse range of property types available for rent, which means we can help you find serviced office space to rent in everything from Edwardian period buildings to ultra-modern architecturally designed work facilities - and anything in between. If you are short of time, don't know the capital city very well or already know exactly what you want please contact us and we'll do it all for you. 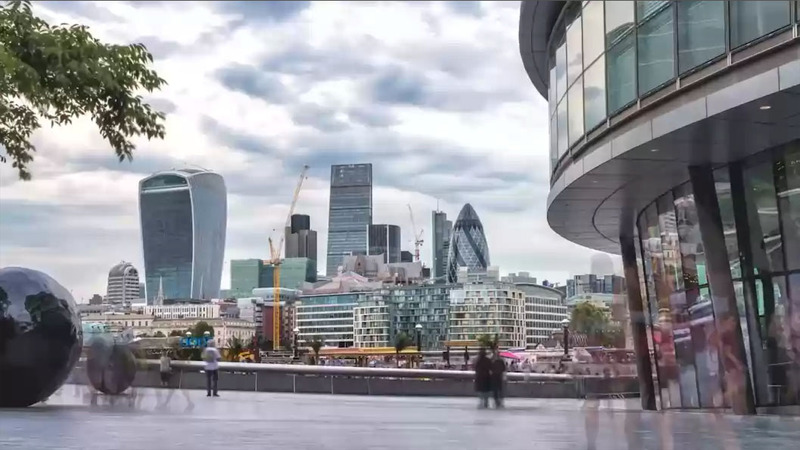 Our consultants specialise in the London office space market and have had years of experience in successfully placing all types of clients in a wide variety of business premises throughout both Central and Greater London. We will be more than happy to listen to your requirements, discuss options and make suggestions to suit your specific needs and budget, and help you find your perfect office space. We have hundreds of buildings and thousands off offices on our books and would love to help find the one that's right for you. You might be surprised to find out how many options there are when it comes to leasing and renting office space in the UK's capital city, from long term conventional offices to short term serviced space to hourly desk rental. We have compiled a brief introduction to 13 of the most common approaches, which should have something to suit just about any requirement, budget and time period imaginable. Serviced Offices are an increasingly popular office solution with a number of key advantages that are particularly appealing to companies that want to speed up their set-up or expansion process while retaining flexibility. Generally available furnished, set-up and ready to go with internet and telecommunications, serviced offices are available with predictable fixed and all-inclusive pricing. London serviced offices offer a simple solution for a wide range of needs, and could be ideal if you need to set up a first office, open a new branch, expand a business quickly, obtain business accommodation for temporary staff or overseas executives, don't want to a long term commitment, or have other reasons to value the flexibility and simplicity of a serviced office solution. Coworking Space providers offer modern facilities in high spec buildings with services, perks, flexibility, no initial capital commitment and no exit costs. Coworking space in London is available in dedicated hubs and startup incubators and, thanks to its popularity and wide-ranging appeal, shared workspaces can also be found in executive business centres and serviced office spaces throughout the city. Hot Desking or temporary desk rental is a growing phenomenon in London, and there is a burgeoning scene for it, especially among young entrepreneurs, that can be favourably compared with desk rental in global hubs such as San Francisco, New York and Singapore. Aside from the obvious cost cutting benefits of renting a desk only when and where you need it, desk sharing also enables freelancers and early stage start ups to work alongside other like-minded individuals and expand their professional networks. Startup Office Space London - a diverse mix of office space for startups and freelancers looking for office space to rent in London. Choose from coworking spaces, serviced offices, hot desks, accelerators and incubators that have been custom-designed to help new businesses get started. Traditional Office Space is a good option for businesses with at least 100 employees. Across London conventional office space is typically favoured by corporates. Businesses who know where they want to be and have a firm idea of workstation requirement for the next 3-5 years benefit from the lower rates and discounts that can usually be negotiated with longer lease agreements. Business Centre and Business Park space is available in a vareity of forms including serviced office space, virtual offices, hot desks, and shared office space. Offering flexibility and better value than conventional space, business centres have the advantage of being able to offer high quality premises and additional support services without the extra costs of solicitors and commercial agents. Shared Offices are a natural extension of the entrepreneurial spirit that has driven the demand for flexible office space as a practical and cost-effective alternative to conventional leases. Virtual Office Service allow businesses to enjoy a solid corporate identity at minimal cost and suits those who favour agile working environments and flexible business practices. In addition to giving freelancers and small businesses a prestigious London business address in a fantastic office location, virtual office services can also extend to call and mail handling, business support and clerical tasks. Industrial Units & Warehousing Space in London benefits from low rent volatility, continuing to outperform other commercial property sectors in the capital. There are approximately 30 million square feet of industrial space in Inner London, offering a wide range of industrial and warehousing space appropriate for companies in a variety of industry sectors. Office Sublets are generally a good option for new businesses and for companies of any size going through a growth stage. Subletting offers companies a cost effective rental solution with reduced upfront costs and shorter, flexible lease terms. Managed or Semi Managed Offices are a convenient office solution that suits the needs of business owners who don't want to commit to a conventional office lease but don't want to go for serviced office space either. Managed services offer companies a completely bespoke service in non branded buildings with customized fit-outs. Despite the bespoke nature of managed office space the agreements are usually flexible and quicker to set up than conventional office leases. Project/Team Space is a flexible office solution catering to the needs of companies that require short-term space to carry out fixed-term projects. Requiring very little or no capital expenditure, project space in London offers an affordable solution. Short Term Office Space works well for start ups and small companies who have moved on to the second stage of business. These offices to rent offer fixed costs and flexible agreements featuring easy-in/easy-out terms make short term rentals appealing.